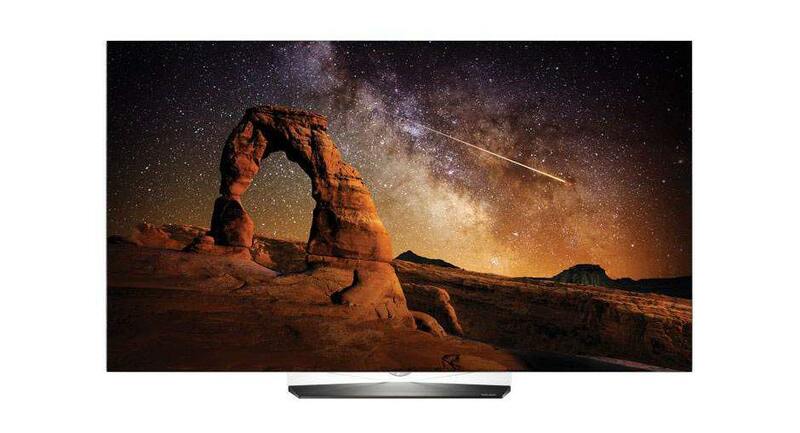 So what allows OLED TVs to deliver their superior picture quality? Simply but, the design uses self-lighting pixels that can be individually switched “on” and “off” which is what gives OLED TVs their infinite contrast and perfect black levels. The 65E6P is part of the E6 Series and is second from the top tier flagship Signature G6 Series in LG’s current OLED TV lineup. But after seeing this TV in action, one would not think it to be less than their best offering due to its absolutely stunning picture quality. The E6 Series are flat panel models and are available in 65″ and 55″ screen sizes. LG’s latest OLED TV lineup also includes the B6 and C6 Series’. The OLED65E6P is a very handsome TV and showcases LG’s Picture-on-Glass display panel in which the OLED module is applied directly to the glass back panel for a clean, ultra-slim profile. Furthermore, this design achieves one of the thinnest panels I’ve seen to date. It is however, much thicker on the bottom half of the panel due to the housing for the TVs electronic components. The pedestal stand design on the E6P is very sleek and flat with a small footprint that draws very little attention to itself, yet adds an attractive design element to the overall look of the display. LG offers a new premium Magic Remote which is included with the E6 and G6 Series for 2016. This remote still offers the voice control and motion control point-and-click features found on the previous Magic Remote, which by the way, is still standard issue with the B6 and C6 Series’. This new design is larger and looks more like your standard variety IR remote and contains the typical long and slender design shape. The available buttons are the same as the previous remote, but with a different layout. I still prefer the previous Magic Remote for its compact design and unusual shape, and how comfortably it fits in my hand. 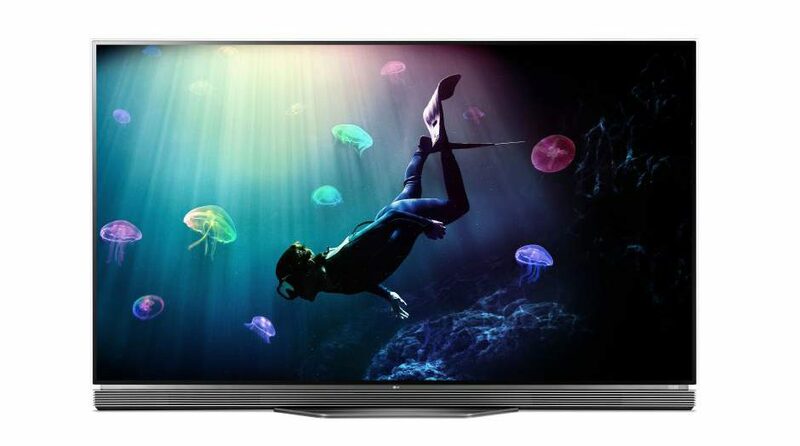 LG’s highly regarded webOS 3.0 smart TV platform has improved, and according to LG, ” adds advanced new features while making it even easier to use. The user interface is more intuitive, mobile devices can connect in new ways, and now it’s more fun than ever to find and enjoy exactly what you want to watch”. HDR or High Dynamic Range with Dolby Vision and HDR10 provide increased contrast with a greater range of peak brightness (highlights) and black levels, in addition to better picture detail and more vibrant colors. Ultra HD Premium certification by the UHD Alliance ensures this TV meets specification standards for resolution, high dynamic range (HDR), peak luminance, black levels and wide color gamut among other specs. This is where the OLED65E6P truly shines! And as I’ve stated in the past regarding the performance of OLED TVs I’ve reviewed, I must say it again here – this TV delivers the best picture images I have seen to date. The images I viewed were absolutely breathtaking, and what took the picture quality to new heights on this display was its HDR capability. The key factors to this awesome performance is the displays infinite contrast range and perfect black level capabilities, which add up to picture images that provide brilliant bright highlights and deep rich blacks for an extremely dynamic picture. The HDR or High Dynamic Range content I viewed on the 65E6P was stunning. In dark scenes the images came alive with excellent detail and clarity, allowing me to see picture information I would not normally see on a non-HDR TV. The illumination that HDR can bring to nighttime images is amazing, and the 65E6P didn’t disappoint in this area… these images added so much realism to the picture for a very life-like – you are there experience. And in my opinion, once you become accustomed to seeing images this way, it’s makes it a bit hard to go back to viewing non-HDR images. I’d also like to note that the 65E6P does a very good job with non-HDR sources such as standard def 1080p content. The excellent contrast and black level capabilities and color reproduction is very evident in this content as well. LG’s Cinematic Color technology assists with the E6P’s outstanding color reproduction. I was extremely pleased with the color palette on this display. Colors were amazingly rich, vibrant and well saturated, and were filled with so much dynamic realism and punch, it made the images appear true-to-life right before my eyes. Furthermore, the accuracy of the colors were spot-on, with a very good tonal balance, which made flesh tones look very natural. LG has improved on some core performance areas with the E6P that were a problem with past OLED sets. First, screen uniformity is much better. Previous models had an issue where the edges of the screen were notably darker than the center area of the screen. This problem, for the most part, has been eliminated, as the TV now shows consistently even screen uniformity on a white field pattern. However, these results can and may vary from one display to another. Black screen uniformity is perfect on this TV since the pixels are in an off state and emit no light. One other area of performance improvement is with shadow detail in dark scenes. In previous models, detail in dark scenes was crushed due to the TVs intensely deep black level capabilities. Now, near-black gradation is much better than its predecessors. However, it is still not perfect. Side angle viewing was not an issue with this set, thanks to its self illuminating pixels. Viewing the TV at wide angles exhibited no contrast of color saturation loss. This makes the E6P idea for viewing environments with seating setups placed at very wide angle from the TV screen. The OLED65EP handles motion very well. Fast action content showed very little if any motion blur. Furthermore, it has low input lag which makes it a good choice for video gaming. Sound quality – The harmon/kardon speaker system gives this set better than average performance from its built-in speakers, delivering good and well rounded sound in the mid and high frequency areas. However, bass output is lacking due to the small size of the drivers. So a good sound bar/subwoofer system will certainly give you better sound quality. If you are looking for the best picture quality currently available, then you owe it to yourself to check out one of LG’s 2016 OLED models, including the OLED65E6P reviewed here. These latest models have improved picture quality over its predecessors and can process both Dolby Vision and HDR10 HDR (High Dynamic Range) formats. And let’s not forget about LG’s acclaimed webOS 3.0 smart TV platform with its intuitive interface that is easy to learn and use, and offers a host of entertainment options at your finger tips. The 65E6P is a bit pricey when compared to most LED TVs on the market, but if you desire the ultimate in picture quality, it may well be worth the price of admission. 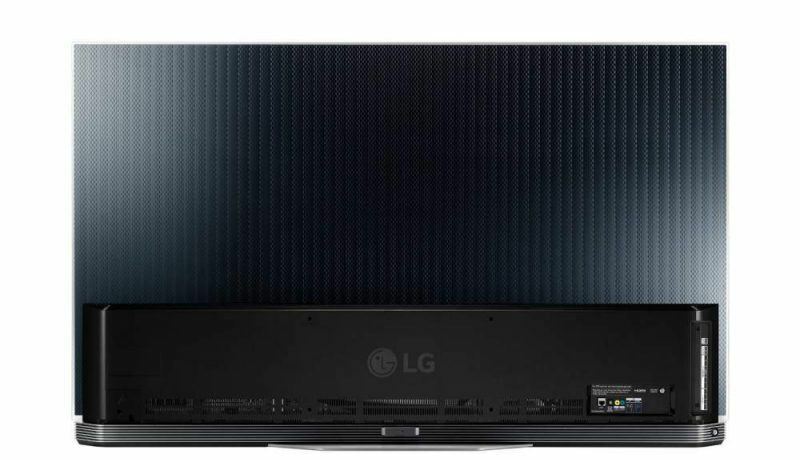 However, as a cheaper alternative, you can go with 65″ OLED65B6P from the B6 Series. This model offers virtually the same picture performance as the OLED65E6P. The advantages the E6P has over the B6P are a more attractive design, better sound quality, 3D capability and a premium remote. So whether you choose the OLED65E6P or the less expensive OLED65B6P, you will be getting the ultimate in picture quality from the best TV technology currently available.